We’re off to L’Eroica Britannia in Bakewell, Derbyshire this weekend (Friday 20th to Sunday 23rd June 2014). Why not come along and visit our stand (one of 200) and take a look at The Light Blue Kings Retro bikes in the flesh. 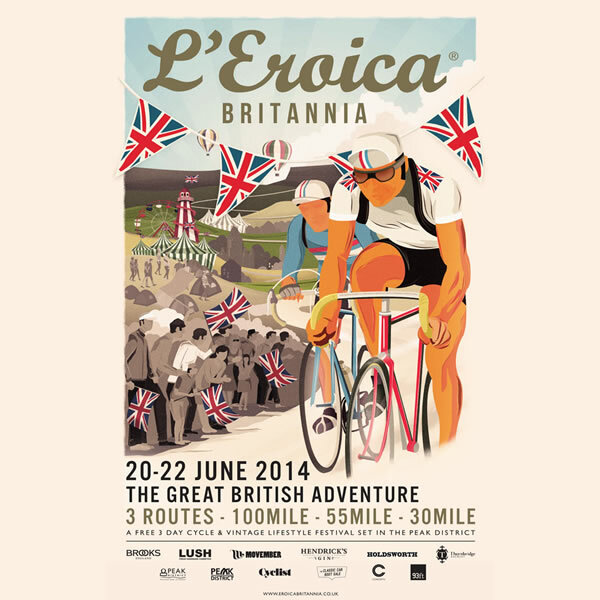 L’Eroica Britannia promises to be a great 3 day cycle and vintage lifestyle festival in the Peak District National Park and what’s more it’s FREE entry. Not only does the event feature bicycles galore, but also includes stands and shops from over 100 brands, there’s a bike jumble, live music, a vintage funfair, street food and drinking experiences. Sunday will see us take part in the first ever L’Eroica Britannia ride, aboard our Light Blue Kings steeds along with almost 2000 other retro bikes and their riders.